You think you’re good? You think you’re tough? Come try our course…IT’LL EAT YOU UP! 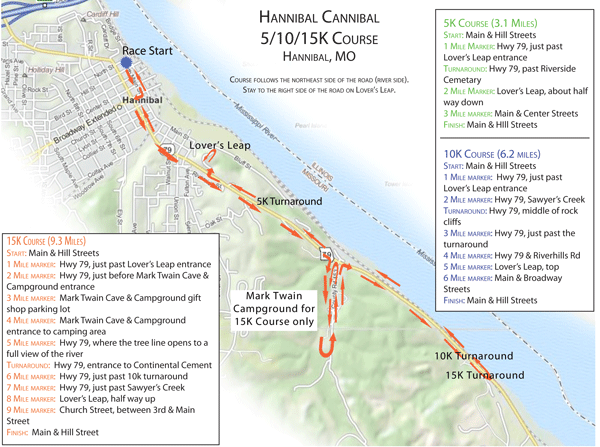 The Cannibal is a 5/10/15K run or a 5K walk that starts in beautiful downtown Hannibal, and proceeds south along the Mississippi River and straight up one of Hannibal’s toughest hills, the infamous Lover’s Leap, before returning to the downtown area. The Cannibal is a U.S.A. Track and Field certified course. Along with the Cannibal, there will be a Fun Run for children 10 and under. Every child will receive a medal and a cool t-shirt. 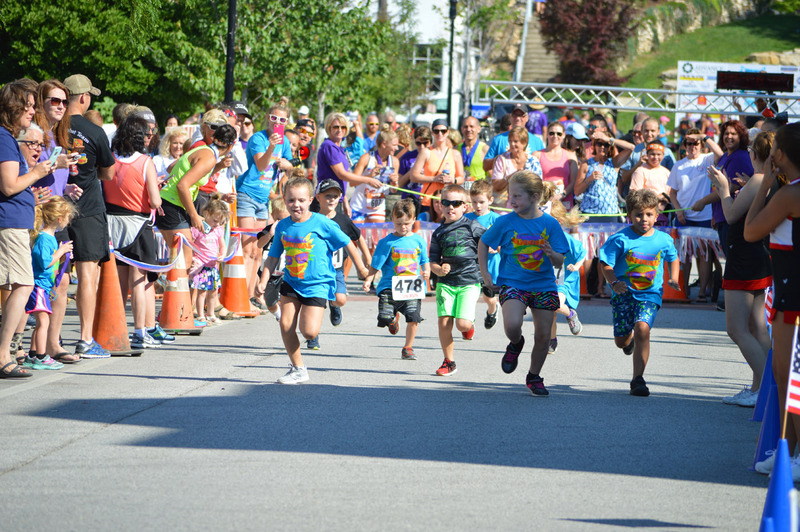 Children can run 1/2 K (.3 mile) or 1 K (.6 mile) on a closed course. 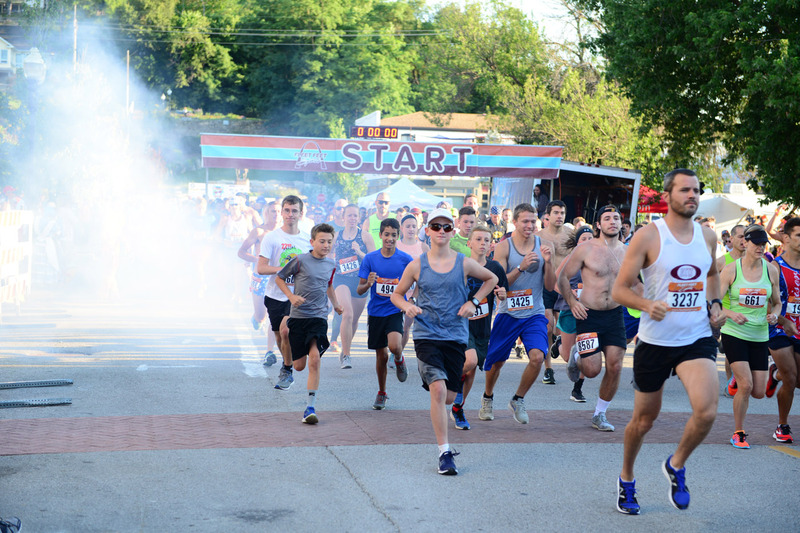 2019 will mark the 24th annual running of the Hannibal Cannibal. 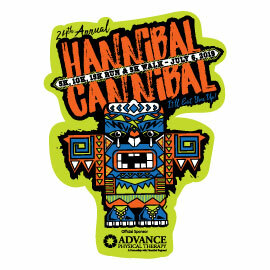 All proceeds of the 2019 Hannibal Cannibal will benefit projects supported by Hannibal Regional Foundation. 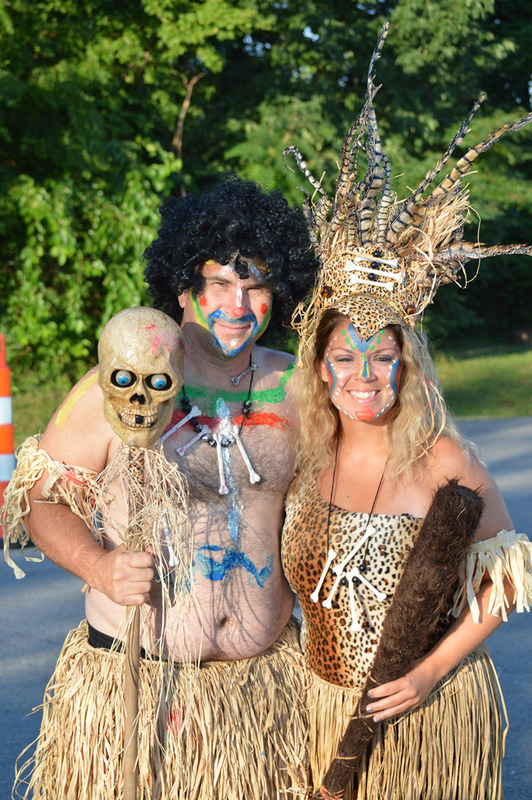 The Cannibal is held during National Tom Sawyer Days, which offers an assortment of activities for the entire family. For more information on Hannibal or National Tom Sawyer Days, please visit the Hannibal Convention and Visitor’s Bureau at visithannibal.com or the Hannibal Jaycees at hannibaljaycees.org. NO PETS, BICYCLES OR STROLLERS ALLOWED ON CANNIBAL COURSE. Entry fee includes: race registration, cinch sack race bag, technical race shirt and finisher's medal. Hannibal Regional Foundation appreciates your participation in the Hannibal Cannibal and would like you to know that all fees associated with registering online are absorbed by the Foundation. 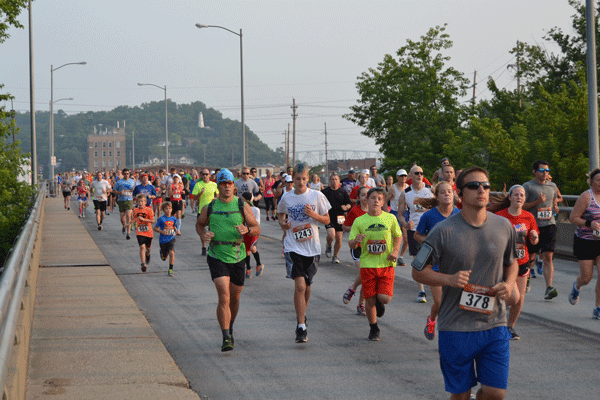 Packet Pickup - Wednesday, July 3, 2019 from 2:00 pm until 5:00 pm at the Foundation Offices, 175 Shinn Lane in Hannibal or July 5, 2019 from 2:00 pm until 7:00 pm and Saturday, July 6, 2019 from 5:30 am until start of Fun Run in front of the Tom & Huck Statue in downtown Hannibal. Awards will be immediately following the race.